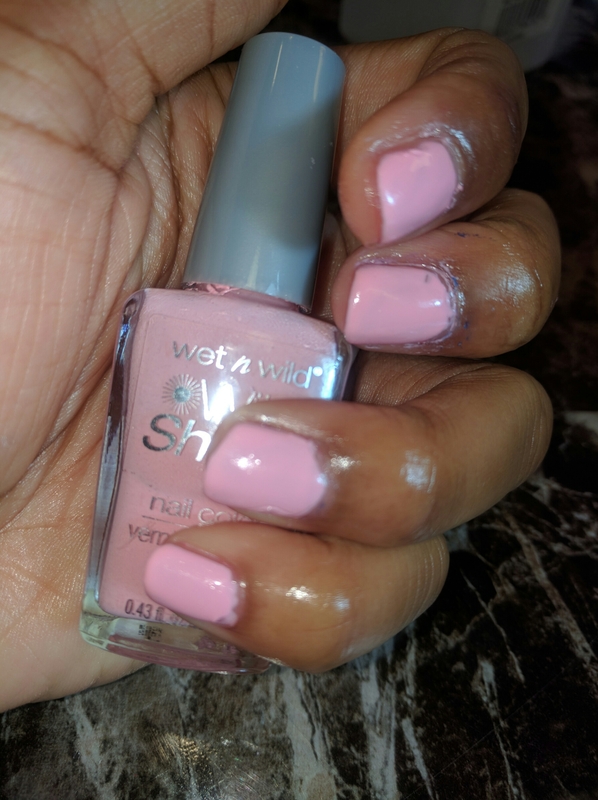 This baby pink manicure is courtesy of Wet n Wild. I have had this polish for some time now, but I haven’t really paid it that much attention until now. I was looking for another pink, non-bright color after the fail that was Orly’s ‘Two-Hr Lunch’. I am surprised at how well this polish held up. I got almost a full week in this polish, with only minimal visible wear (unlike the Orly). It has a beautiful formula, and went on really well. It’s nice and opaque, and you can really get away with one coat, though I have a preference for two. I just think it has a fuller, richer color and lasts longer. 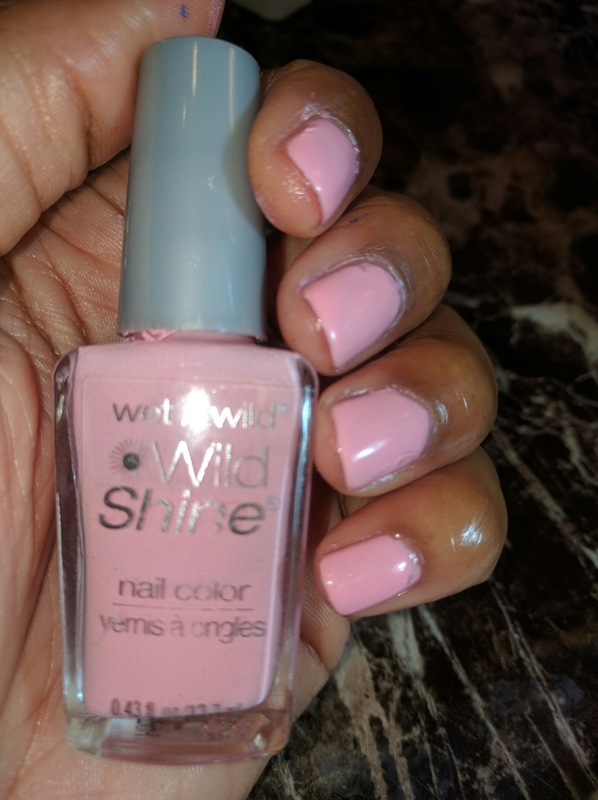 I have had a Wet n Wild polish before but I was not too impressed with how the color glided on, it was pink but not quite like this. On another note, I do really like the color of your nail polish here. No problem; I guess I just have to explore more. I said at one point that I wanted to just collect just”pink” nail polishes but then it would be such a waste because I wouldn’t want to use them! Lol. So what polishes did you end up getting instead? You know, I don’t really remember…I do have Pure Ice polishes but while I like the colors and affordability of those, I am not too impressed with their quality. 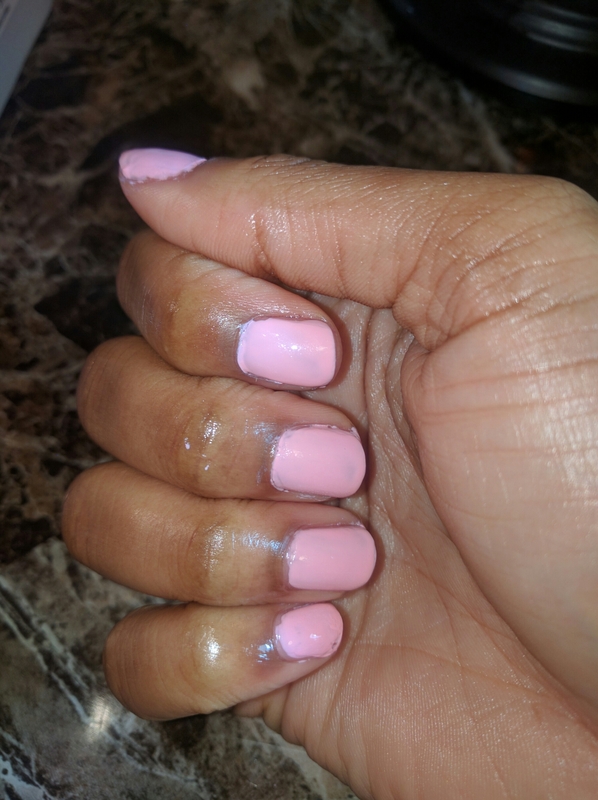 I actually stopped wearing polish because I could not make up my mind on the colors and I was changing my nails waay too much. Maybe I’ll start looking at polishes again to see what is out there. A mint color & Bubblegum pink perhaps! Those sound like great choices. 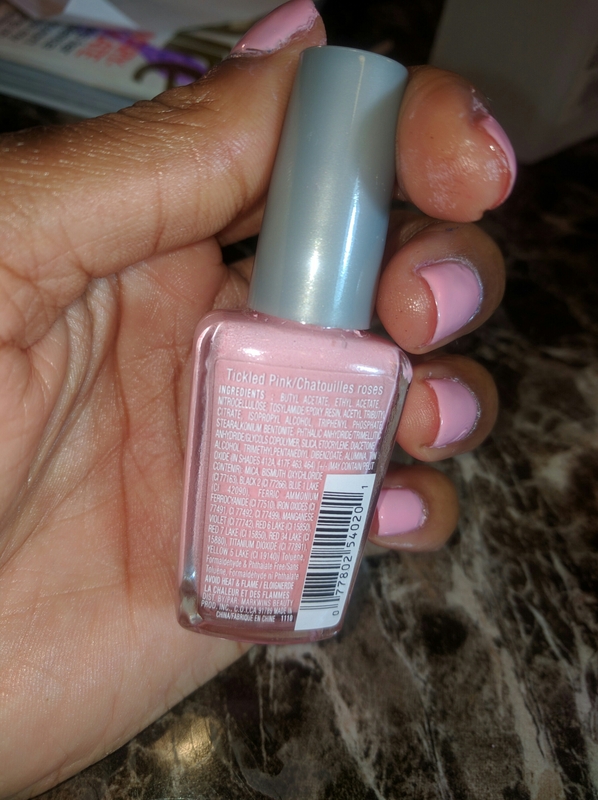 Might I suggest LA Colors Colorlast they are in a square shaped bottle at Walgreens for $1.98 and the formula is quite creamy and pigmented. Good luck!